Two members of the War Graves Commission Survey Party standing under the attap roof of an open sided POW hut, which would have held up to 90 POWs. 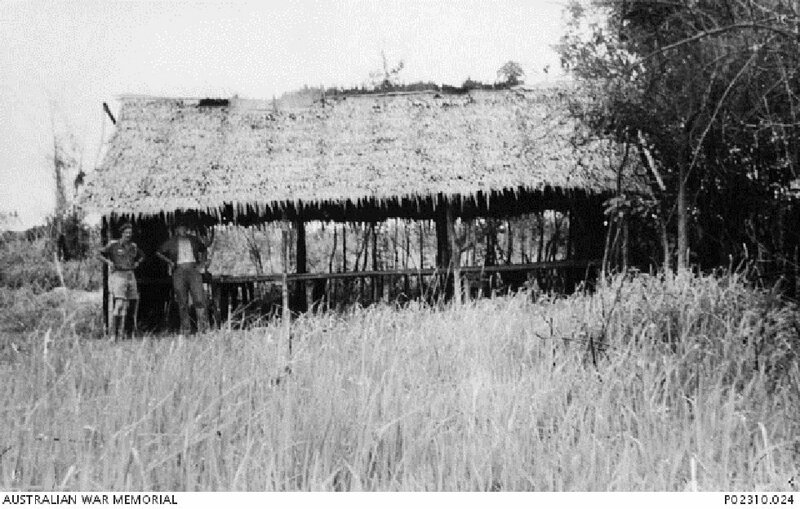 The hut was a staging camp on the Singapore-Bangkok Railway for POWs being transported from Changi to construct the Burma-Siam Railway. Approximately 50% of these work parties were often selected from hospital patients, with no regard shown for their physical condition. October 1945. Image courtesy of Australian War Memorial. The 1st defendant was Sergeant Takashima Shotaro and the 2nd defendant was Corporal Asako Koichi. As medical personnel, both oversaw the forced labour of Indian Prisoners-of-War. Both men were charged with diverting medical supplies meant for Prisoners-of-War to the Japanese instead and had compelled medically unfit men to work resulting in the alleged death of two men, Abdul Ghani and Mohd Khan. The death of Abdul Ghani was due to a failure to prevent him from going on fatigue duties as he had an existing injury from which he eventually died from, and Mohd Khan had been beaten by other camp guards and the defendants did not treat him after that. The Court found only Corporal Asako Koichi guilty of the charges and only guilty for the death of Abdul Ghani and sentenced him to life imprisonment, acquitting Sergeant Takashima Shotaro. An interesting point brought up in this trial was whether the Indian Prisoners-of-War could take an oath of allegiance to the Japanese Emperor and if so, whether they lost protection under international law. Corporal Asako Koichi was sentenced to life imprisonment while the camp's commanding officer, Captain Taura was sentenced to 5 years' imprisonment for the death of the Prisoners-of-War under his care. 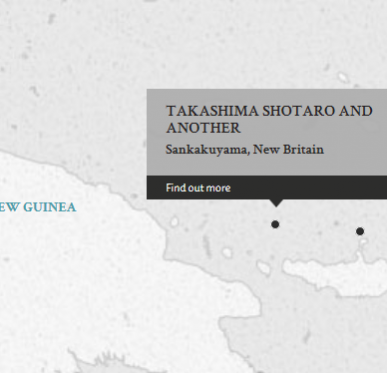 Takashima, Shotaro. Sergeant. From Japanese military. From Japan. Not guilty. Asako, Koichi. Corporal. From Japanese military. From Japan. Not guilty. Life imprisonment. Sentence confirmed. Sinclair, D.F.H. Captain. From British military. Nakamura, Takeshi. Barrister, Civil Court Tokyo. Sahay, B.B. Major. From British Indian Army. B.A., LLB.